SPRUCE GROVE - Team Central is skating away from Spruce Grove as 2018 Alberta Cup champions. Drew Sim stopped 25 shots to earn his second-straight shutout, leading Central to a 2-0 win over Edmonton Yellow to avenge an 8-3 loss during round-robin play. Brett Moravec and Myles Hilman scored for Central, while Charlie Wright added two assists. Calgary South claimed bronze with a 2-1 overtime win over Edmonton Blue in the B Final. Earlier in the day, South defeated Calgary North 9-3 in the C Final, while Northwest scored with less than a minute left in overtime to beat Northeast 3-2 in the D Final. 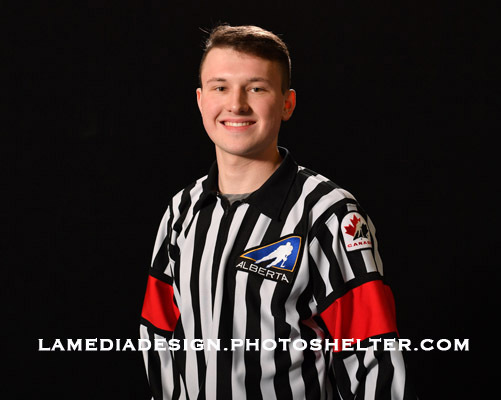 SPRUCE GROVE - Hockey Alberta is pleased to announce the 2018 Alberta Cup All-Stars, and the 2018 All-Star Official. The tournament All-Stars and All-Star Official were announced Saturday night at the Alberta Cup banquet at Heritage Park in Spruce Grove. All-Stars were voted on by Alberta Cup team staff. SPRUCE GROVE - The final match-ups are set, and Edmonton Yellow and Central will go head-to-head in the 2018 Alberta Cup final on Sunday. Central defeated Calgary South 8-0, and Edmonton Yellow beat Edmonton 6-4. Calgary South and Edmonton Blue will play in the B Final. Earlier in the day, Calgary North and South secured spots in the C Final, while Northeast and Northwest will square off in the D Final. 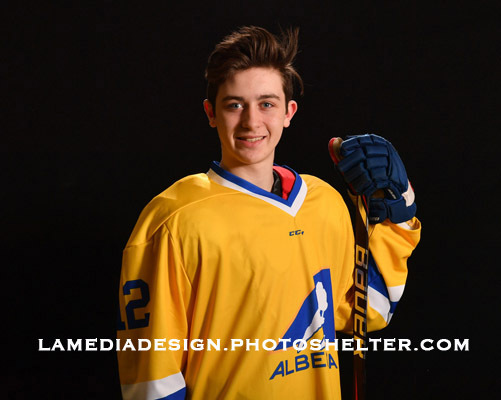 SPRUCE GROVE - With both of their brothers taking part in the 2018 Alberta Cup, former Team Alberta forwards Peyton Krebs and Kirby Dach took in the action in Spruce Grove, and reflected on their time at the 2016 Alberta Cup, and their journey through the Team Alberta program. Krebs’ younger brother, Dru, plays for Team South, while Dach’s younger brother, Colton, players for Edmonton Blue. 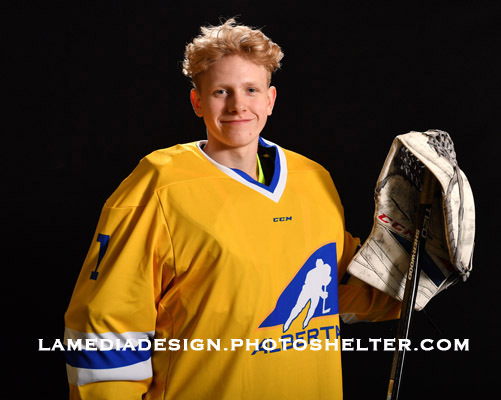 Krebs suited up for Team South at the 2016 Alberta Cup, while Dach played for Edmonton Yellow. Both players were chosen in the WHL Draft the following week, Krebs first overall by the Kootenay Ice, and Dach second overall by the Saskatoon Blades. Krebs and Dach also played together for Team Alberta that year, winning the 2016 WHL Cup. For more scores, stats and stories from the 2018 Alberta Cup, click here. SPRUCE GROVE - After another busy day of hockey at the 2018 Alberta Cup, round-robin play wrapped-up, and the standings are now set heading into Saturday. After going undefeated (3-0-0) through round-robin play, Edmonton Yellow locked up first in Pool A. Central claimed the other semi-final spot, finishing 2-1, while Calgary North and Northwest finished third and fourth, respectively. With a win and a loss on Friday, Calgary South finished at the top of Pool B. Edmonton Blue and South tied their final round-robin game to each finish 1-1-1, but Edmonton Blue clinched second place in Pool B by virtue of a tie-breaker, with Northeast coming in fourth. Saturday kicks off with Northeast and Calgary North playing in the first C/D Semi-Final at 9:00 a.m., and Northwest and South in the other at 9:30 a.m. Calgary South and Central battle in Semi-Final One at 11:45 a.m., and Day Three closes out with the other Semi-Final game between Edmonton Yellow and Edmonton Blue at 2:15 p.m. SPRUCE GROVE: Step behind the bench at the 2018 Alberta Cup with Edmonton Yellow Head Coach Alex Mandolidis during Edmonton’s final round-robin game against Central. Edmonton Yellow won the game 8-3 and finished round-robin play 3-0 to clinch first place in Pool A. SPRUCE GROVE - After a busy first day of the 2018 Alberta Cup in Spruce Grove, Edmonton Yellow and Central came away with two wins, while Edmonton Blue and Calgary South won their only games of the day. In Pool A, both Edmonton Yellow and Central defeated Northwest and Calgary North, while Edmonton Blue and Calgary South won their games over Northeast and South, respectively. Pool B teams will each play a pair of games on day two, while Pool A teams will each play just one. Round-robin play wraps up after day two, with the top two teams in each pool earning a spot in the Alberta Cup semi-finals. SPRUCE GROVE - For four members of Team Northwest, the 2018 Alberta Cup presents a rare opportunity. Spruce Grove natives Evan Forrest, Reid Schaefer and Jack Parker, along with Stony Plain’s Michael Lovsin, are all relishing the chance to play against some of the province’s top players in front of their home town crowd. 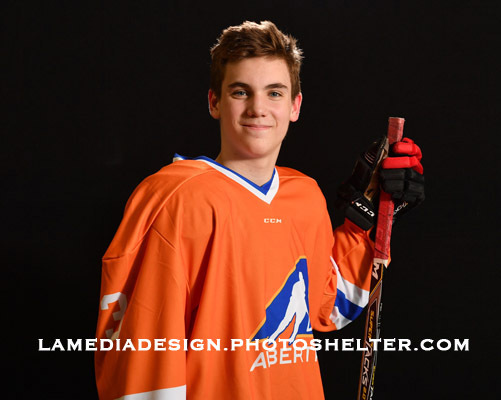 SPRUCE GROVE - Many of the top 2003-born male hockey players from around the province have converged on Spruce Grove this week for the 2018 Alberta Cup. Eight teams are taking to the ice at the Agrena from Thursday to Sunday: Calgary North, Calgary South, Central, Edmonton Blue, Edmonton Yellow, Northeast, Northwest and South. 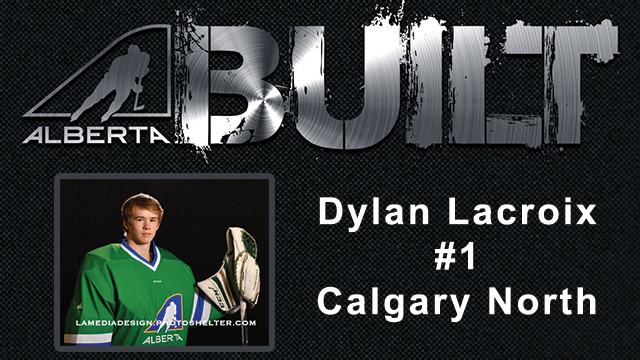 Full tournament results will be displayed on the score ticker at the top of both hockeyalberta.ca and abcup.ca. Schedules, stats and standings can also be found at abcup.ca. You can also follow along with the action on Twitter. RED DEER - Orest Korbutt, a Life Member of Hockey Alberta, died on Friday, April 20 at the age of 81. Orest had a long history of volunteer service to amateur hockey in Alberta, across Canada, and around the world. He served as the President of the Alberta Amateur Hockey Association (Hockey Alberta) for six years, from 1980-1986. During his time as President, he established the Alberta Hockey Hall of Fame, a Scholarship program, and an Endowment Fund. At the national level, Orest served six years on the Board of Directors with the Canadian Amateur Hockey Association and was instrumental in establishing the national medical and liability insurance program. Internationally, Orest was actively involved in exchange programs with the Japanese and Chinese Ice Hockey Federations that lasted for more than three decades. At the local level in Edmonton with the Knights of Columbus association, he was instrumental in the purchase of their twin ice pad and helped oversee operations of the arena complex. Outside of hockey, Orest was a leader with several organizations. He served as Chair of the Alberta Sport, Recreation, Parks and Wildlife Foundation, Chair of the Alberta Sports Hall of Fame and Museum for 15 years, Chair of the task force that created the Alberta Sports Plan, and as a Board member with Sports Central. Orest’s work and achievements have been recognized over the years, with numerous honours bestowed including: Canadian Amateur Hockey Association Order of Merit and Recognition Award, Alberta Amateur Hockey Association Life Membership, Edmonton Minor Hockey Association Life Membership and Recognition Award, Alberta Hockey Hall of Fame inductee (1988), Edmonton Sport Hall of Fame inductee, City of Edmonton Achievement Award, Alberta Sports Hall of Fame inductee (2013) and the Queen’s Diamond Jubilee Award in 2013. Hockey Alberta extends its deepest condolences to Orest’s wife of 63 years, Gertrude, and their family: children, Corrine (Fred), Therese, Greg (Stacey), Jackie (Michael); seven grandchildren; and one great grandson. A Celebration of Life will be held on Thursday, April 26 at 2 p.m. at Connelly-McKinley Funeral Home, 10011-114 Street NW, Edmonton, AB. In lieu of flowers, donations may be made in Orest’s memory to Edmonton Sports Central. 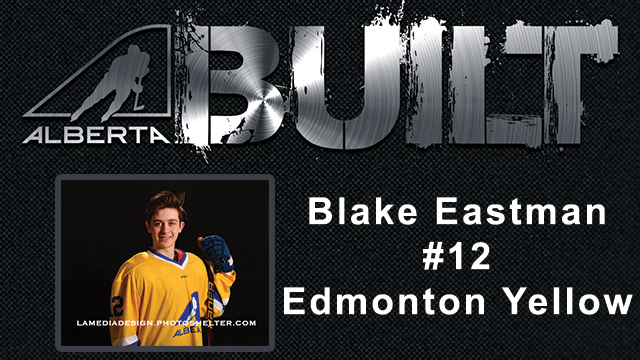 RED DEER - Alberta is well-represented on the National stage this week, as the St. Albert Slash and Lethbridge Midget AAA Hurricanes compete in the Esso Cup and Telus Cup, respectively. The St. Albert Slash (Midget Female AAA) of the Alberta Female Hockey League are representing the Pacific region at the tournament for the second straight year, and are the reigning Esso Cup champions. The Slash kick off their tournament Sunday afternoon at 12:30 against the Pionnières de Lanaudière in Bridgewater, N.S. The Lethbridge Midget AAA Hurricanes kick off their quest for the Telus Cup Monday at 5:00 p.m. against host Sudbury Nickel Capital Wolves . The Hurricanes earned the right to represent the Pacific Regional after defeating the Fraser Valley Thunderbirds in two straight games earlier this month. RED DEER - Hockey Alberta’s Coach of the Month for March is Kyle Johnson of Clive. Kyle is currently the Head Coach of the Clive Initiation Blackhawks. "This was actually my first year as a head coach," said Kyle. "Helping these kids develop a love for the game of hockey and contributing to their development is something I take very seriously. I had an awesome group of assistant coaches helping and our team did very well this season. It is an amazing gesture to be nominated for this type of award and I am very thankful." "Kyle is all about the kids! What a great guy to have mentoring our Initiation aged kids," said the parent who nominated Kyle. "He makes a point of connecting with each child before a game or practice, and let’s them know that he’s so happy they’re there and he wishes them a great practice or game. His positivity radiates, and the kids just beam when he’s on the ice with them. He’s wonderful about making practices fun, but also explains to them the importance of the skills that they’re building. Fun is the top priority, but Kyle has worked hard to come up with practice plans that promote skill growth and fun. The kids are being equipped with the skills to move forward in a positive growth mindset, and having fun doing it. After each game Kyle will point out something that each child has done well, and shows the team how to celebrate each other’s successes and how together that adds up to the team having success as a group. Every child gets the same opportunity with Kyle, and he’s so proud of his little group and what they’ve achieved this season." RED DEER – Alberta is once again very well-represented heading into the 2018 NHL Entry Draft, as NHL Central Scouting has released its final rankings for North American skaters. A total of 15 Albertans make an appearance on the list, led by Lloydminster’s Ty Smith (Spokane Chiefs, WHL), who comes in at 14. Defenders Jacob Bernard-Docker (Okotoks Oilers, AJHL) and Jonathan Tychonick (Penticton Vees, BCHL) also crack the top 50, sitting at 33 and 36, respectively. The 2018 NHL Entry Draft is set for June 22-23 in Dallas, Texas. In the spring of 2017, Hockey Alberta announced that – effective for the 2018-19 season – Parents and Coaches/Team Officials would be required to recertify their Respect in Sport every four seasons. The requirement to recertify comes into effect on May 1. For the 2018-19 season, the requirement to recertify affects Parents and Coaches/Team Officials who completed their Respect in Sport certification prior to the 2015-16 season. The Respect in Sport Parent Program helps define a standard of behaviour for all parents and create a more rewarding, safe and respectful environment for everyone involved. Parents want to do a great job supporting their kids. Respect in Sport provides parents with the tools to do just that. The Respect in Sport Activity Leader/Coach Program educates coaches and activity leaders to recognize, understand and respond to issues of bullying, abuse, harassment and discrimination. It may be the single most important training leaders receive to assist in creating a safe, healthy and respectful environment for all participants. NOTE: Speak Out is no longer recognized as a relevant program for coaches. Hockey Alberta’s Regional Consultant, South, Matt Weninger, contributes regularly to the Lethbridge Herald with his "Hockey Talk" column. His most recent piece focuses on the Humboldt Broncos tragedy, and the effect by the entire hockey world, the country, and beyond. It is in quite a sombre and reflective mood that I write this article. 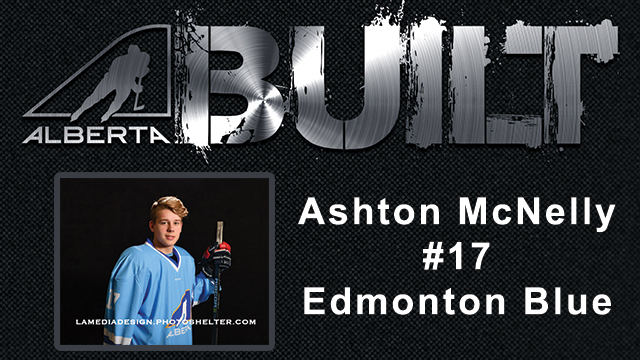 Usually I like to start my column discussing the weather or some programs that Hockey Alberta is running. All of that seems to feel irrelevant this week based on both the tragedy in Humboldt and the news of Brock Hirsche passing away Sunday morning. It is rather difficult to comprehend what happened in Humboldt and even more challenging to understand the magnitude of this accident. I coached Layne Matechuk at the U16 WHL Cup a few years ago (who remains in a coma at this point), played hockey with assistant coach Mark Cross last year and crossed paths several times with Logan Boulet over the years (both of whom passed away). As well, my neighbour Andrew Thompson was a member of the Broncos last year before a trade took him to Melfort where he finished the season, and saw his season end at the hands of the Broncos no less. I have rode buses for hundreds of thousands of miles (maybe more but definitely not less) in both my playing and coaching career – blindly placing all of my trust in the bus driver to get us to our destination safely. Those who have never played junior hockey (or even hockey in general) may not understand the sanctity of the bus. The bus is where we live, watch movies, do homework, play cards, sleep and socialize with our teammates. Where we drive from one location to the next in a travelling box that at its best the TVs work, the Wi-Fi works and is a tolerable place to be. At its worst it smells like the bathroom, is too hot or too cold and most assuredly is uncomfortable. The reality is that anyone who has played a high level of hockey has more than a few unhappy stories of 16-hour bus rides, of hearing the rumble strips at 2 a.m. and of buses breaking down on the side of the road hours from your destination. We hate the bus, we dread the trips but we tolerate it because we love the game, we strive for the competition and we would do anything for the teammates we ride the bus for (even the ones whose personal hygiene in these confined spaces isn’t ideal and those who can’t hold it until the next time the bus stops). I have ridden a bus from Canton, N.Y. to Houghton, Michigan, and Flin Flon, Man. to Estevan, Sask., and those are only a few of the horrible trips I can name. I used to bring a big, thick blanket, place it on the floor with a pillow over top and sleep on the floor through the night because that beat having to try and squish on a lumpy seat with the cold window as a pillow. The bus trips were not something to look forward to and the longer the trip and the worse the weather the more dreaded the trip home. But that is part of the culture of hockey, and it will never change. I am not one to complain about that culture and I don’t want anyone to think I am complaining about the lifestyle. Because I don’t want it to change. Because as bad as those bus trips are, the reward of getting to play the game you love in front of thousands of people who either cheer you or jeer you is the rush that is worth the bus trip. The challenge of winning a game -and to those who don’t understand it, we know it is only a game – is worth the reward of the nine-hour bus ride. And should you lose – that nine-hour bus ride is necessary to cure the mental anguish of the loss. It’s not about hockey players being a different breed. It’s about the friendships built on a team, the bond built within a group and the bus being the means to meet a challenge and to live a temporary dream that we all know will one day come to an end. The sad part of this story is so many in the hockey world can connect to life on the bus. We all feel so emotionally scarred seeing 16 individuals living the same dream that we can all connect with and seeing so many dreams and lives end in a tragic accident. I will never forget hearing the news of that bus accident last weekend, and I will also never forget the many bus trips I have taken throughout my life, whether that was home from a loss or home from a win. But this weekend made me appreciate how lucky I was to be able to return home. I’d also like acknowledge the loss our community feels with the passing of Brock Hirsche. My last column, I aimed to show my respect and gratitude of how incredible a person Brock was. Even when I was writing that column I still believed we’d have many more months of Brock with us, that I would run into Brock many more times. Unfortunately, Brock left us much too soon. This weekend has hit our community extremely hard. To those we lost last weekend, you will be missed, and the reaction from the rest of the world assures your legacy will live on. The memorial service for Brock will be on Friday at Nicholas Sheran, and the memorial for Logan will be Saturday at Nicholas Sheran. There are two families in our community that are hurting and this is a chance for us to show them our support. RED DEER – Hockey Alberta, its two largest Minor Hockey Associations, and the four largest minor leagues in the province are pleased to announce that the Alberta One Standardized Tiering Model will be in operation for the 2018-19 season. Hockey Calgary, Hockey Edmonton, Central Alberta Hockey League (CAHL), Northern Alberta Interlock, All Peace Hockey League, and North Eastern Alberta Hockey League are implementing the Alberta One Standardized Tiering Model for the upcoming hockey season. Consistency in tiering has been a significant concern raised in feedback provided by families across the province in Participant Satisfaction Surveys conducted by Hockey Alberta in 2015 and 2017. For the past year, these six organizations have worked within Hockey Alberta’s Minor Leagues Committee to develop a tiering model that ensures teams are tiered accurately and consistently by accounting for the size of a minor hockey association, the size of a league, and various geographic factors. Six tiers within the divisions of Atom, Peewee, Bantam, Midget. A tiering grid to assist organizations in placing their teams within a specific division. The ability for smaller organizations to utilize the grid to determine the number of tiers to operate based on number of teams. Teams proceed through tiering rounds for final placement determined by policies of the individual league. Hockey Alberta’s member organizations were informed of the new Alberta One Standardized Tiering Model through an Information Bulletin on April 11. RED DEER - A pair of Alberta Midget AAA teams punched their tickets to National Championships over the weekend. In Richmond, BC, the St. Albert Ron Hodgson Slash of the Alberta Female Hockey League defeated the Greater Vancouver Comets for the second straight year, and will now defend their 2017 Esso Cup title. The Slash took the three-game series two games to one, winning game one 4-2 and losing game two 4-2, before edging the Comets 1-0 to claim the Pacific Regional banner. Meanwhile, the Lethbridge Hurricanes swept the three-game series against the Fraser Valley Thunderbirds, winning games one and two by 5-3 and 6-1 scores, respectively. The Hurricanes will head to the 2018 Telus Cup in Sudbury, Ontario, which runs April 23-29. Hockey Alberta extends its deepest condolences to the Humboldt Broncos, their families, and the entire hockey community in the wake of the tragic crash on Friday, April 6. Tributes and memories are pouring in as the identities are confirmed of those who died in the crash, as well as those who are recovering in hospital. 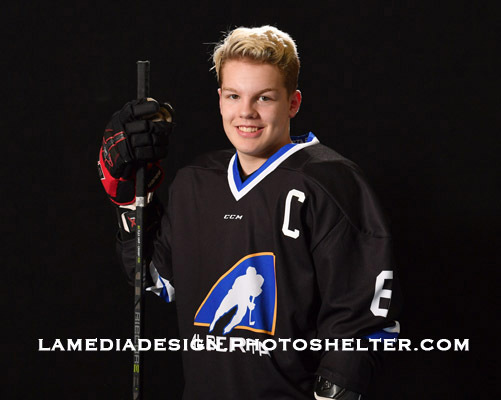 RED DEER - A pair of Alberta teams look to punch their ticket to a national championship as the Midget AAA and Midget AAA Female Pacific Regional Championships go this weekend. 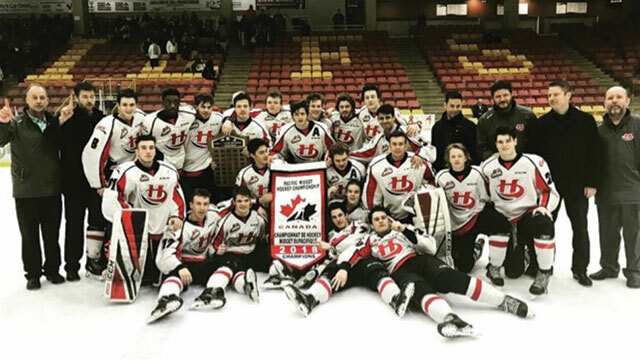 Less than a week removed from winning the Midget AAA provincial championship, the Lethbridge Midget AAA Hurricanes head to Chilliwack, BC to take on the Fraser Valley Thunderbirds in a best-of-three series, with the winner advancing to the 2018 Telus Cup. Games one and two are set for Friday and Saturday at 5:00 p.m. and 7:00 p.m., respectively, with game three scheduled for Sunday at 12 noon, if necessary. The 2018 Telus Cup runs April 23-29 in Sudbury, Ontario. Meanwhile, for the second straight year, the St. Albert Ron Hodgson Slash of the Alberta Female Hockey League will travel to Richmond to battle the Greater Vancouver Comets for a spot in the Esso Cup. The Slash defeated the Comets in last year’s Pacific Regional Championships en route to an Esso Cup championship. Piper Creek Optimist Club of Red Deer’s Past President Kevin Walsh (left), with Hockey Alberta Foundation Executive Director Tim Leer. RED DEER – The second annual Piper Creek Optimist Club of Red Deer’s Battle of Alberta fundraiser for the Every Kid Every Community program was a major success, with $21,000 going to the Hockey Alberta Foundation. 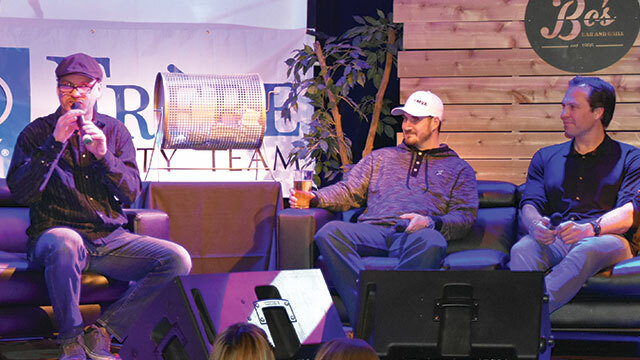 The event was held in January at Bo’s Bar and Grill in Red Deer, with Edmonton Oilers and Calgary Flames fans gathering for a night of hockey, stories, and a chance to win tickets to see the Battle of Alberta in Edmonton on January 25, and in Calgary on March 31. The night was hosted by Red Deer Rebel’s Game Night Host Troy Gillard. Special guests Rob Brown, Jason Strudwick and Curtis Glencross were also in attendance, and treated the crowd to an intimate hockey hot stove. The event brought in just under $30,000 total, with roughly $8,000 going back to the Piper Creek Optimist Club for other youth initiatives in Central Alberta. 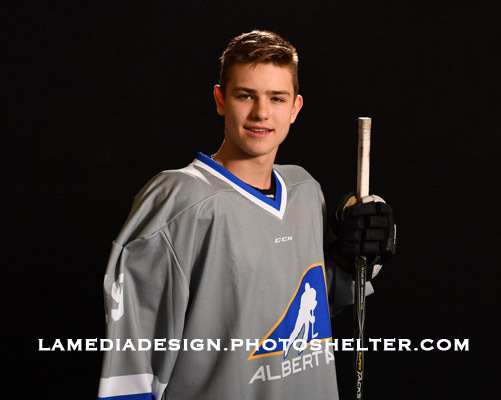 RED DEER - Three members of the 2015 Team Alberta U16 Male squad, along with four from the 2016 team, will join Canada’s U18 National Team’s training camp ahead of the 2018 IIHF U18 World Championship. Defencemen Ty Smith and Jonathan Tychonick, and forward Chase Wouters, will be joined by blueliners Bowen Byram and Matthew Robertson, and forwards Kirby Dach and Peyton Krebs in Etobicoke, Ontaria next week. Following training camp, the players selected to Team Canada will travel to Chelyabinsk, Russia for two pre-tournament games. The 2018 IIHF U18 World Championship runs April 19-29 in Chelyabinsk and Magnitogorsk. 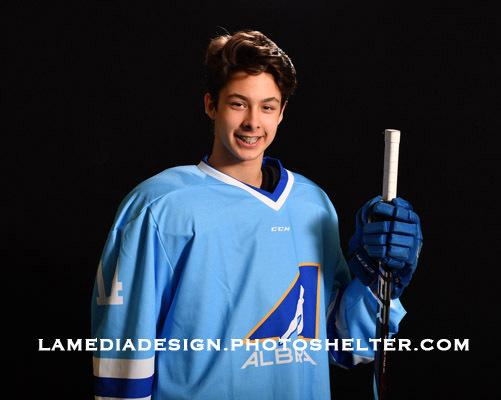 RED DEER - The third and final weekend of Hockey Alberta Provincial Championships, presented by ATB Financial, wrapped up on Sunday with seven new champions being crowned. Teams skating away with gold medals were: Wainwright Bisons (Junior B), Sherwood Park Renegades (Junior C), Lethbridge Hurricanes (Midget AAA), Spruce Grove PAC Saints (Midget AA), Calgary Fire White (Midget Female Elite), Lakeland Panthers (Bantam AA), Medicine Hat Hounds (Peewee AA). The Junior A Provincial Championship will be decided through the Alberta Junior Hockey League Playoffs. The North and South Division finals began on March 30. The Brooks Bandits and Okotoks Oilers are tied 1-1 in the South Division Final, while the Spruce Grove Saints carry a 2-0 lead over the Whitecourt Wolverines in the North Division Final. The 2018 Bantam AAA Provincial Champion Airdrie Xtreme were one shot away from gold at the 2018 Western Bantam AAA Championships in Kamloops, losing in double overtime to bring home a silver medal.